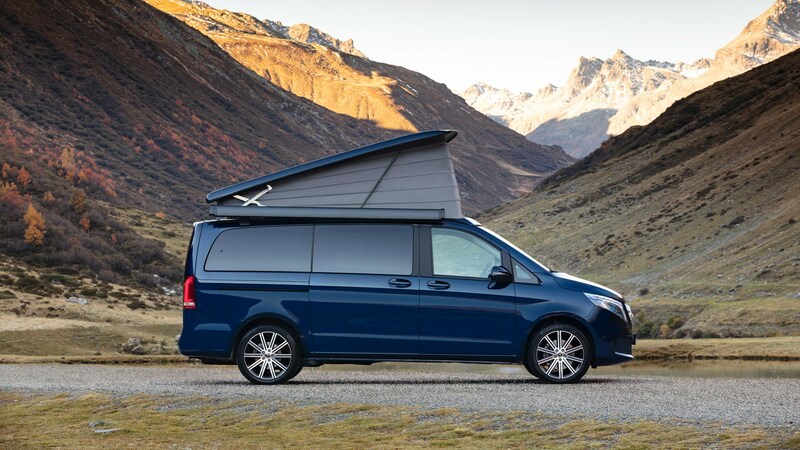 No, you’ve not accidentally stumbled upon a Mensa-grade spot-the-difference competition, this really is the facelifted-for-2019 Mercedes-Benz V-Class. Given that it’s lacking much in the way of a visual freshen-up, the good news is that the mechanicals have been given a thorough overhaul. Ousted is the torquey-but-talky 2.1-litre diesel unit and in its place is the much more refined 1950cc motor already seeing service in the E-Class range. Initially, the UK will be offered the OM 654 unit in V250d and new V300d forms, with 187bhp/325lb ft and 236bhp/369lb ft, respectively. 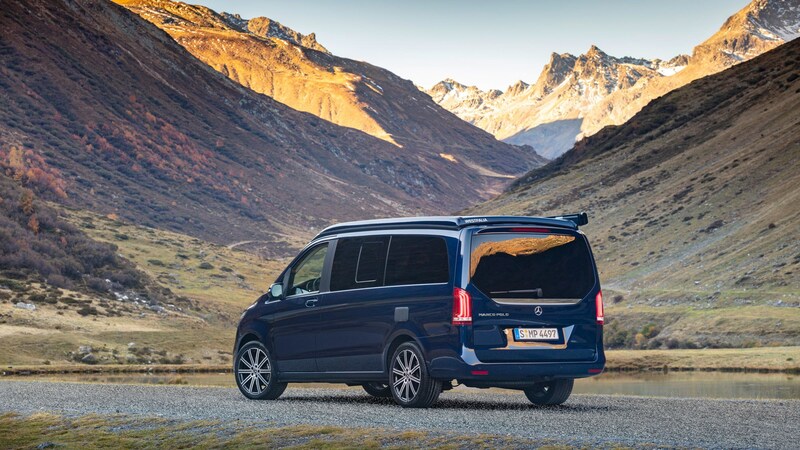 The punchier unit’s good to haul the V-Class from 0-62mph in just 7.9 seconds, although your seven passengers aren’t likely to appreciate such thrusting exuberance. Out also goes the old 7G-Tronic auto ‘box, replaced by the newer, smoother nine-speeder. British-bound V-Classes aren’t offered with a manual transmission. If they sound a tad rich for your pocket, a detuned version will appear in a new V220d towards the end of 2019, but don’t expect a Mercedes-AMG V63 anytime soon. Aren’t diesels a bit passé these days? 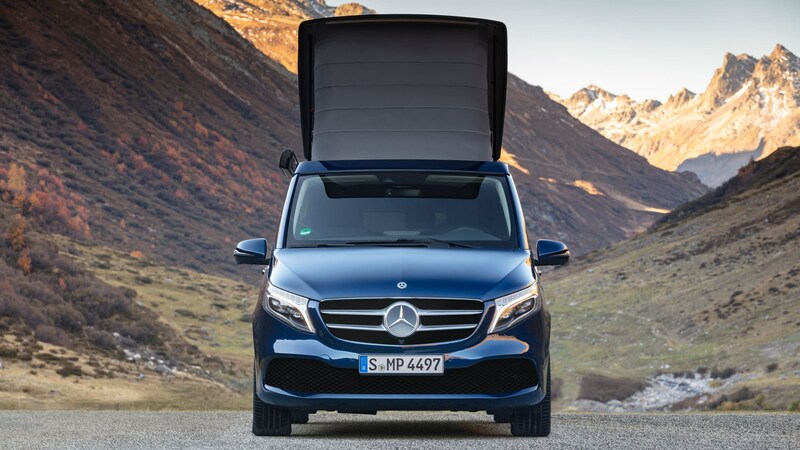 Not for cars such as the V-Class, no, particularly given that many will see service as VIP long-haul taxis, but there is demand for a zero-emission version. Set to be revealed at the 2019 Geneva motor show is a near-production Concept wearing the EQV badge. Expect the showroom version to become available during 2020. What the UK will be denied are 4Matic four-wheel drive V-Classes. Unlike times of yore when four driven wheels were incompatible with Mercedes’ right-hand drive steering columns, it’s down to pure economics that are at play here – projected demand is too low to make it a worthwhile exercise. 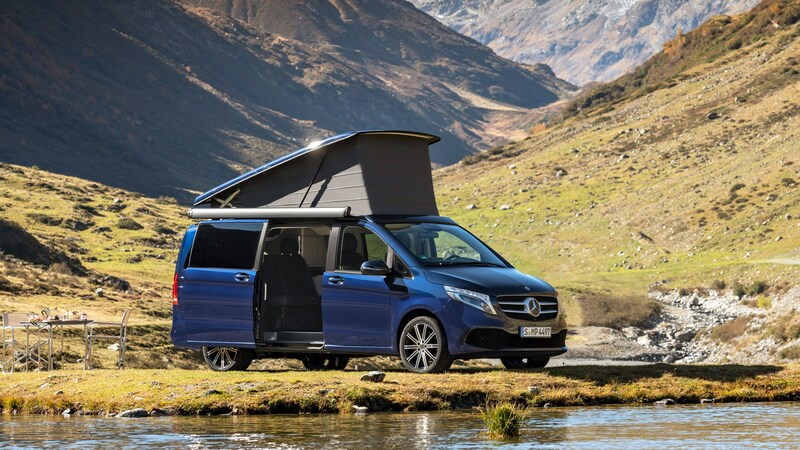 So what is different about how the V-Class looks? 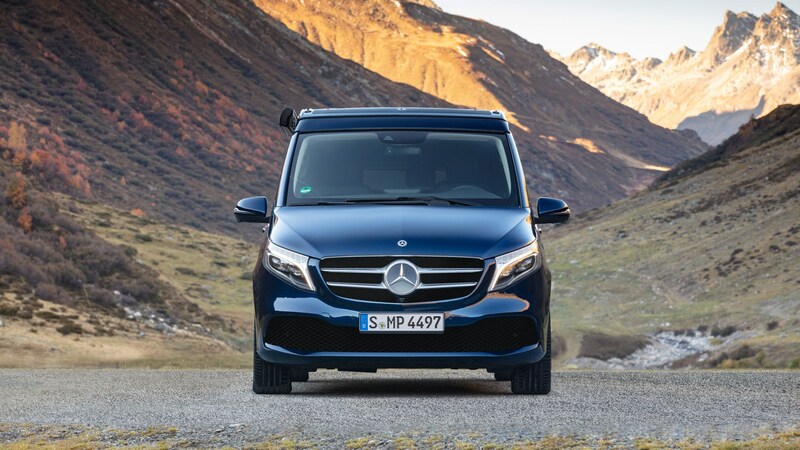 Well, there’s a lightly modified front end, with a gapier lower intake in the bumper to feed more air to the new diesels, while racier-looking AMG Line models finally get the diamond pin grille already seen on a variety of other sportier-trimmed Benzes. Elsewhere, there are four new colours, an expanded range of alloys and, err… Let’s move to the inside. 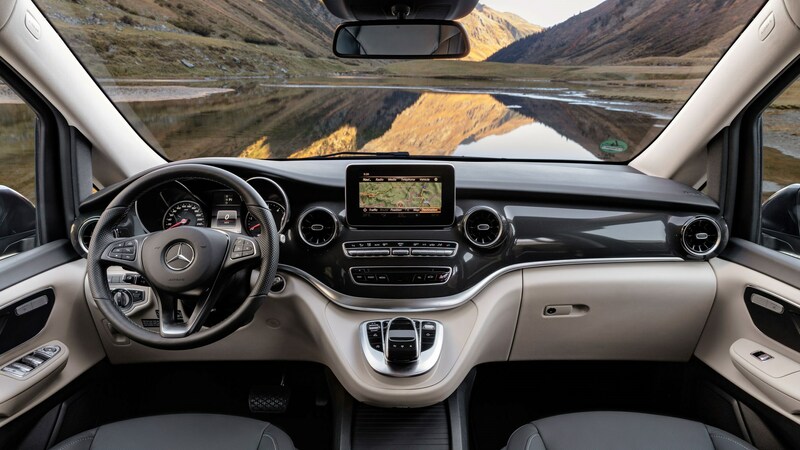 Up front the driver’s got updated C-Class-style instruments – analogue and digital versions – an upgraded 10.25-inch multimedia screen and airvents that we’ve already seen in the E-Class. Not much, but it’s a far nicer place in which to spend time than the Vito van. But with all that space, surely there’s scope for a truly luxurious version? Indeed there is. 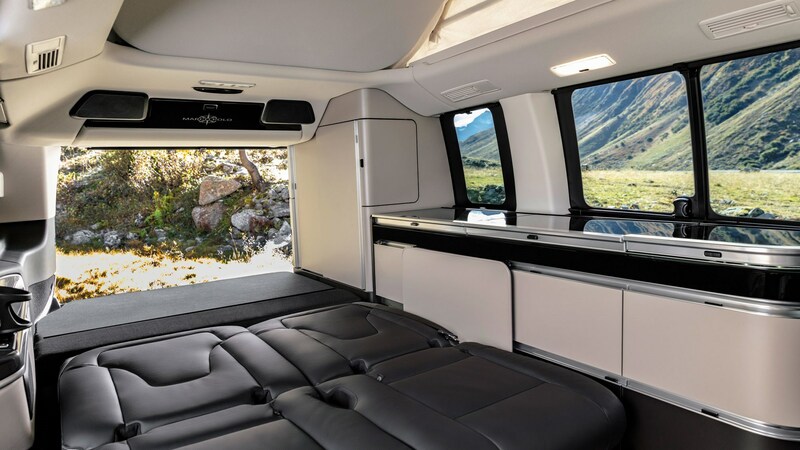 European-spec V-Classes will be offered with an optional pair of captain’s chairs that not only recline electrically, but also have integral massaging and climate control functions. While these will be offered in the UK, it’s more likely that they’ll feature in a flagship V300d Exclusive that’ll arrive towards the end of 2019. And, if you’ve spent any time in the back of a high-end S-Class, then rejoice! Those Alcantara-wrapped heavenly soft pillows are present and correct. 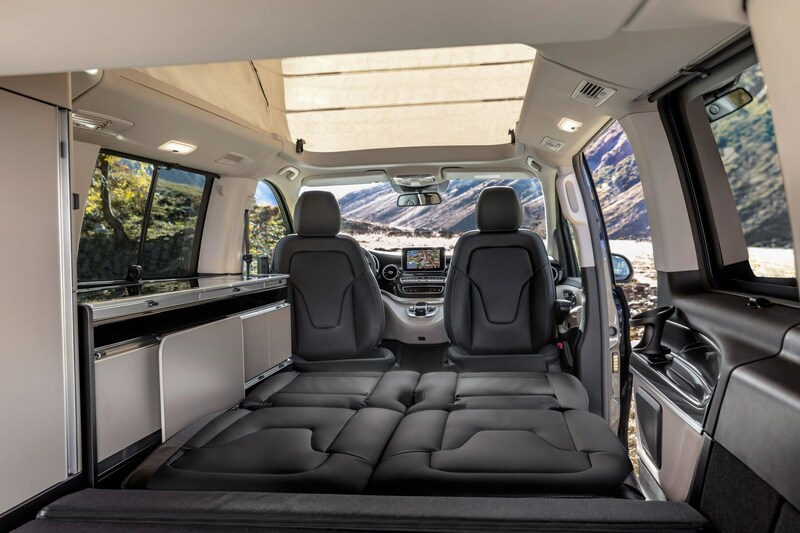 The best seat in the V-Class house is definitely in row two. How much will the 2019 Mercedes-Benz V-Class cost? Mercedes will reveal pricing towards the end of February 2019 when the order books open for June deliveries. Expect a modest increase over the outgoing V250d. 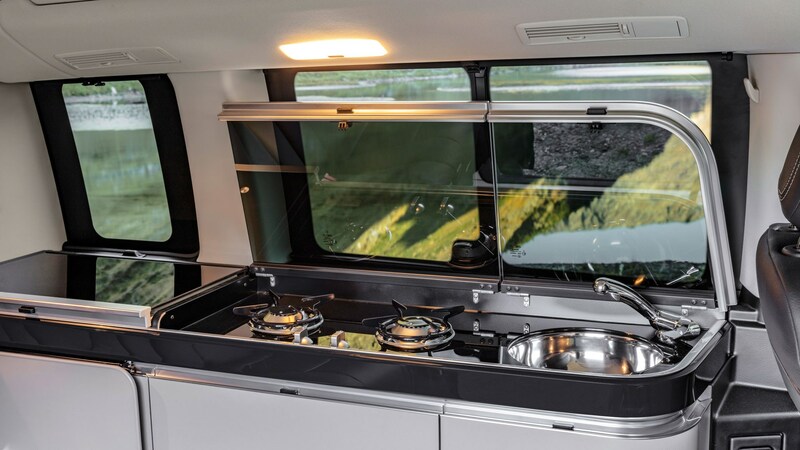 As per the current line-up Sport and AMG Line trims will be offered in three different lengths – go Extra Long to maximise your passenger/luggage space conundrum.